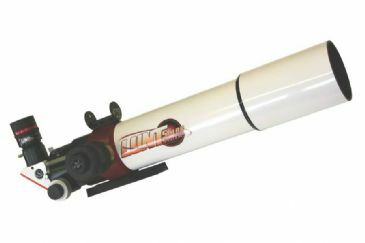 For the advanced solar observer Lunt offer this ED refractor with an aperture of 80 mm and 560 mm focal length, of course fully unobstructed. 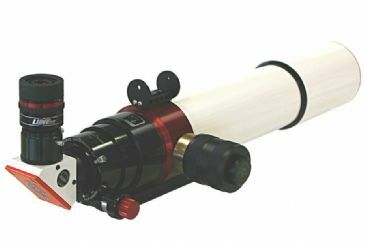 The H-alpha telescope is equipped as standard with the air-pressure tuning system “Pressure Tuner”, whereby the internal Etalon achieves a bandwidth of <0.7 Angstrom. The telescope has both a 1/4”-20 connection for photo-tripods, and a dovetail plate for astronomical mounts. A Sol-Searcher, a zoom-eyepiece, and a transport case are also included. This telescope is already prepared for the new double stack system DSII from Lunt Solar Systems. 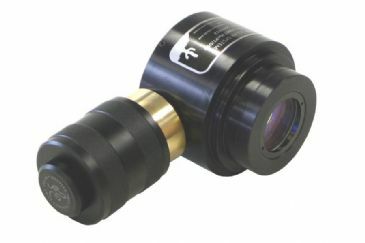 The DSII eliminates the need for an external front mounted filter for double stacking. In this system both Etalons are internally installed in the telescope, and both Etalons are equipped with the tuning system “Pressure Tuner”!